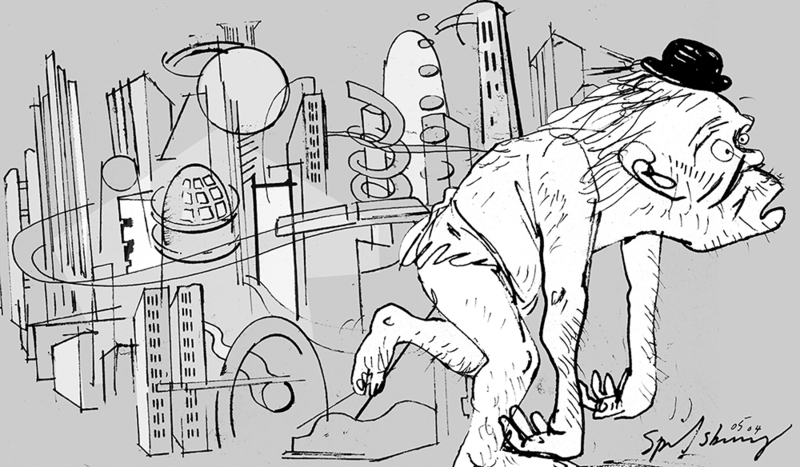 A Neanderthal walking past a futuristic cityscape. I had an hour to do this one for Kevin Bayliss at the Indy, which meant I had to drop everything, do the first thing that came into my head and see what happened. In the paper the day after, gone the day after that.